OPI 2000 went 1-1 at the purse bids today in Rome. First the Italian promotional company won the right to stage Emiliano Marsili’s defence of the title against Frenchman Anthony Mezaache with a bid for 37 717 Euro. Date and site is to be announced. There were no other bidders. Then at middleweight Queensberry Promotions headed by Frank Warren won the right to stage Billy Joe Saunders vs Emanuele Blandamura with a bid for 102 000 Euro. OPI 2000 bid 77 717 Euro. Date and site is to be announced. 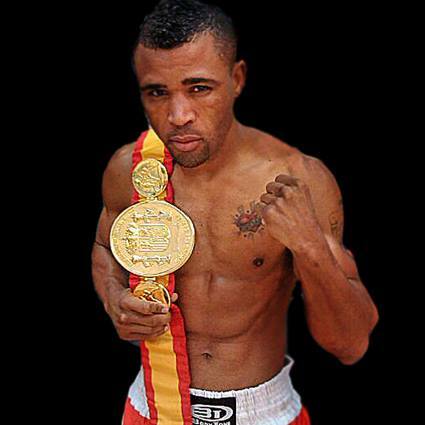 Spanish veteran Rudy Encarnacion won the vacant EU featherweight title with by beating Ivan Ruiz Morote this past weekend. Encarnacion (pictured) will now have to face Italian Mario Pisanti without any voluntary defence in between. Date for purse bids expires April 24 at noon. Belgian Jean Pierre Bauwens have due to serious family problems asked for a postponement of his fight against EU superlightweight champ Brunet Zamora that was set for April 18 in Trieste. However, to keep the date and keep the title active Zamora will now make a voluntary defence of the title against an opponent to be announced.